The Preset Organization Contact Info is where you can define the presets for the organization's information that will be pre-populated into the footer of the automated receipts. You can also add your organization’s website and social media links to this area. Enter the desired information in the fields provided, and be sure to click Save when you are complete. 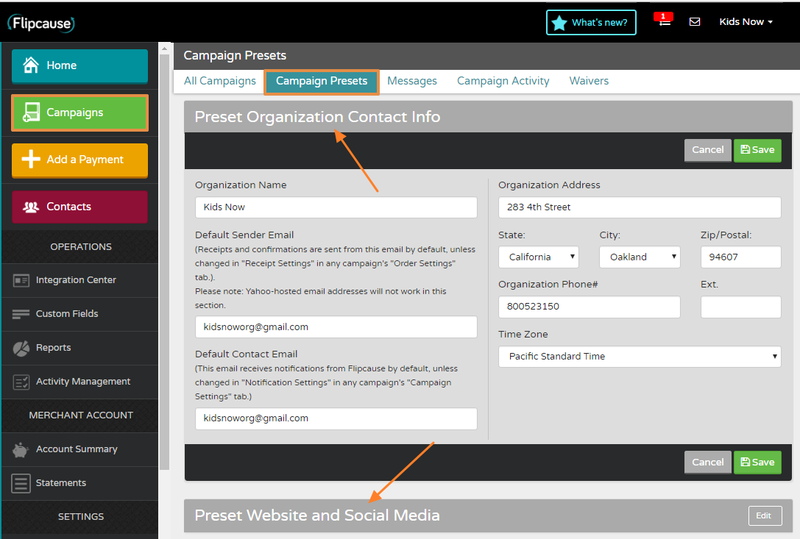 To add your organization’s website and social media links, click into the Preset Website and Social Media section. Make sure to click Save once complete!